Popcorn Time’s popularity has taken off this year by bringing BitTorrent streaming into the mainstream with a lineup of apps that let users watch nearly any new blockbuster they want for free with just the tap of a finger. We published a hack that brings the popular Netflix-alternative to iOS 8 users for the first time ever without a jailbreak, but before diving into an endless buffet of the world’s most popular movies and TV shows, you might be wondering just where this magical software came from, and most importantly: can it be trusted? Popcorn Time is a multi-platform, open source Bittorrent client that also includes a really slick media player. It’s designed as a pirate’s alternative to Netflix, only instead of actually streaming unauthorized copies of films using Bittorrent, Popcorn Time uses sequential downloading and uploading to play films in its media player. The day after the project was shuttered, the YTS developer team picked up the abandoned open source code and resurrected the service. Other developer teams have also built on the Popcorn Time code, and there are actually a couple different variants out there, but they’re all pretty similar at this point. On the user end, it works much link Netflix, only it’s got a lot more new movies. Users navigate the app by flipping through thumbnails of movie posters, or you can run a search. Once you find a movie you want to see, you can tap watch and the stream starts almost instantaneously. What can I watch on Popcorn Time? The options change daily but the main screen is dominated by the most popular recent blockbusters. You can search for older popular movies too, but if you’re looking for obscure flicks, your best bet is looking on Netflix and Amazon Prime. Popcorn Time is also great for streaming TV shows and pulls from EZTV it’s extensive catalog of TV show torrents. Who are the developers behind it? 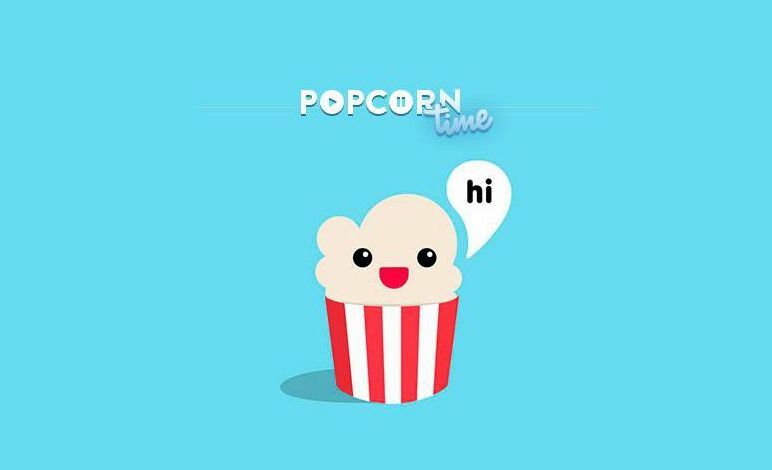 The main developers behind Popcorn Time have kept their identities hidden, but the group rallies around its popcorn-faced mascot named Pochoclin, who signs all their blog posts. YTS is behind the popular Popcorntime.io site which was a direct spinoff from the original project. Another group of anonymous programmers from all around the world who have worked together on several projects head up the Time 4 Popcorn site. Can Popcorn Time be trusted? Can any anonymous organization plotting to overthrow one of the world’s most powerful, wealthy, and longest standing industries ever really be trusted? Probably not, but Time 4 Popcorn says they offer torrent traffic encryption, plus a free VPN, so you can use it without worrying about the Feds knocking down your door. OS X, PC, Linux, Android, iOS (if you jailbreak, or use a hack) and it supports AirPlay to Apple TV. Is it safer on a particular platform? If you’re on a Mac you should definitely use a VPN if you’re playing with torrents. That option isn’t available on iOS, so if you want to be safer, maybe only use public connections, like your local Starbucks WiFi. By tunneling your connection through a safe, anonymous connection, the Feds hopefully won’t be able to see all the bad Liam Neeson movies you’ve binged on. Is movie industry trying to crush it? As of September 1.4 million devices had installed Popcorn Time. That number has probably shot up significantly over the last month too now that iOS users have access. It’s safe to say that Hollywood would love to crush it if they could, but instead of using an army of lawyers to try to get Popcorn Time and other torrenting apps shutdown, they could work on striking better content deals to give people what they want on with services like Netflix that bring in revenue. What other next piracy tools like Popcorn Time are out there? No one owns the Popcorn Time trademark yet, so there are a number of forks and alternatives that have spun-off from the main Popcorn Time project after it closed. The most popular being PopcornTime.io and Time4Popcorn.eu. Both sites look nearly identical but the software is slightly different. Movie Box is another iOS app that works just like Popcorn and also requires a jailbreak or time-hack to install, but an OS X version isn’t available yet. XBMCtorrent can replicate some of Popcorn Time’s streaming features on OS X, but there’s no app for iOS.